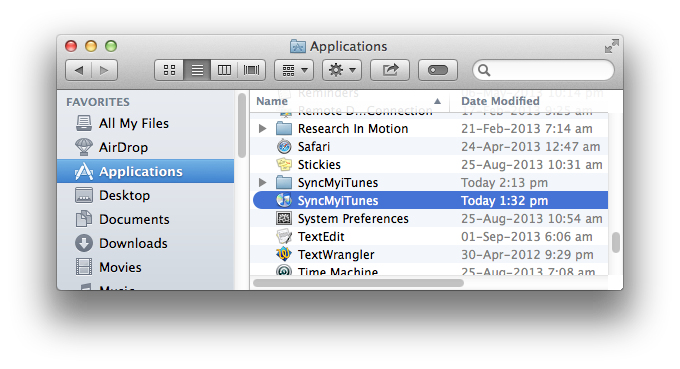 After installation,Sync My iTunes can be opened from "Applications".To open it,click on Finder.After this, click on "Applications" from left panel. 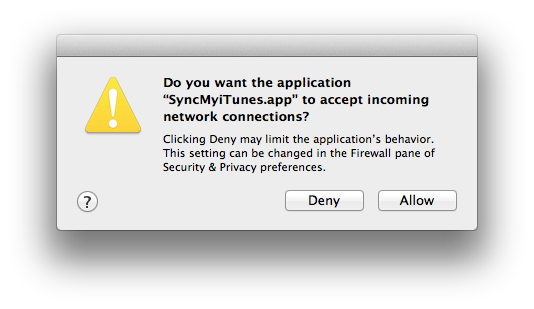 After opening up Sync My iTunes,you will get below prompt.Hit on "Allow".This is required to allow the connection. In the above screenshot,it can be seen that the main functionality is divided across 4 steps. 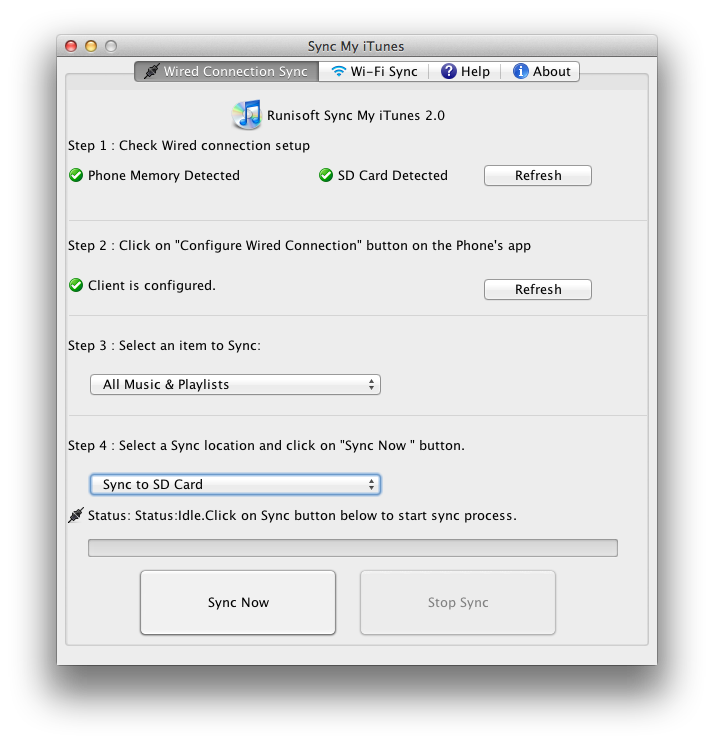 We will now discuss these steps and sync process. Next - Working with the main application.